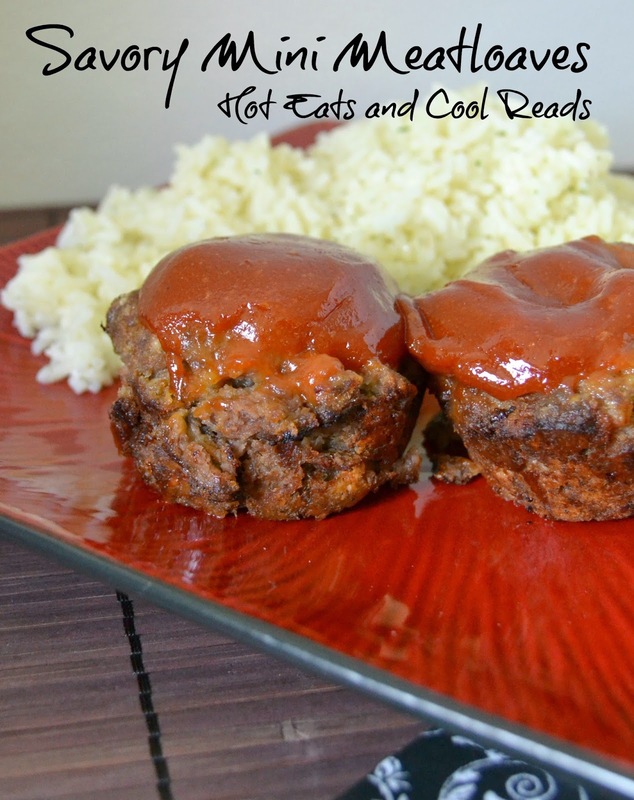 Hot Eats and Cool Reads: Savory Mini Meatloaves Recipe with Healthy Solutions Spice Blends and a Giveaway! Savory Mini Meatloaves Recipe with Healthy Solutions Spice Blends and a Giveaway! Hello everyone! I hope you had a fantastic weekend!! Today's recipe is for some scrumptious Savory Mini Meatloaves! I recently received some samples of some spice blends from Healthy Solutions and couldn't wait to try them out! These spice blends are all natural and contain no MSG. Most have no added salt or sugar and contain no fillers or preservatives. Each spice blend has a suggested recipe on the back making them super easy to incorporate into your menu! I used the Savory Meatloaf spice blend for these Mini Meatloaves. The flavor was fantastic, they were moist and I loved not having to add any salt. I love my meatloaf saucy, so I prepared a sauce to top them with. This is such a great meal when you don't have alot of time to cook. Below the recipe, you can enter for a chance to win 4 spice blends of your choice from Healthy Solutions! The flavors they offer are: Herb Crusted Tilapia, Shrimp Scampi, Cajun Seafood, Lemon Pepper, Sesame Ginger Tuna, Grilled Swordfish, Salmon with Dill, Bold Beef Rub, Authentic Chili/Tacos, Hearty Beef Stew, Italian Meatballs, Perfect Steak, Ultimate Burger, Pork and Poultry and Savory Meatloaf! You can stop by their website for more info on all these spice blends! I chose these four! Can't wait to try out the rest of them! Preheat oven to 350 degrees. Combine all meatloaf ingredients until well mixed. Divide meatloaf mixture into 12 muffin cups that have been lightly greased. Combine sauce ingredients and spoon onto the top of each meatloaf. Bake for 25-30 minutes until cooked through. I received these spice blends to review. This doesn't affect my opinion of the product in any way. Shrimp Scampi sounds yummy, although I would use it with chicken tenders as I do not eat seafood, lol. The meatballs spice sounds like the one I'd like to try first. They all sound good. I would love to try the meatloaf seasoning and put it in some meatballs or mini meatloaves. Thanks for the chance to enter. I hope to try many however the ultimate burger sounds like a great one to start with! Oh how I love a good meatloaf. Your minis look awesome. Thanks for a great giveaway!! These sound really good and the meatloaf looks great, I love Shrimp Scampi also. Thanks for the chance to win. All sound great, but I think I'd try the meatball seasoning first! Shrimp Scampi!!!!! My youngest loves shrimp, and so do I. Maybe sprucing it up a bit would convince the rest of my family to eat them. I think the Shrimp Scampi and Meatloaf. They all sound good, though. They all sound good but I am hungry now for meatloaf, I was going to make one earlier until I realized I didn't have burger in the freezer. I want to try the shrimp scampi. I would want to try the savory meatloaf or hearty beef stew blends. Wow, this looks fabulous! Definitely something my kids would love too! DH is going to love this recipe! We are burger lovers, so Ultimate Burger would be our first choice. These mini meatloaves look so yummy. Need to try them. Those look fantastic! I would love to try the salmon with dill, too. Gosh, that has me so hungry, when is dinner??!! Meatloaf is one of my favorite dishes...and I love single servings too..and healthy!! SCORE! Thanks so much for sharing at Weekend Potluck. 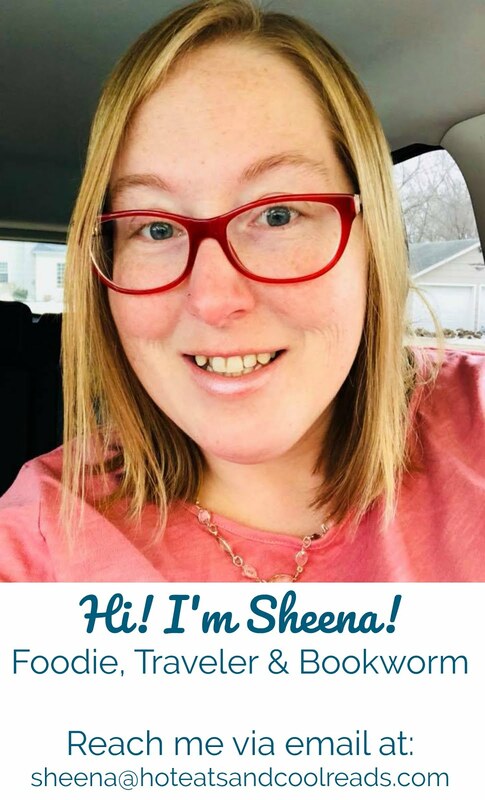 Hi Sheena - it's late so I thought I'd stop by before we head out of town EARLY tomorrow morning to tell you I choose this wonderful dish for my personal fav at this week's Weekend Potluck party. Thanks for sharing simple, healthy recipes like this one. =) Have a fabulous and fun holiday weekend.